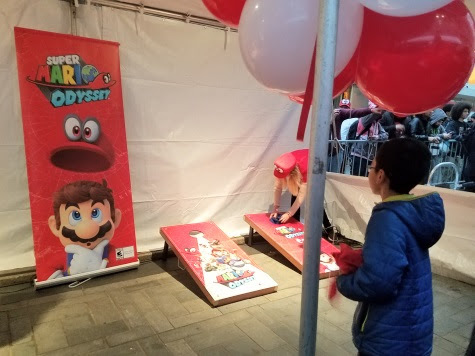 When Super Mario Odyssey for the Nintendo Switch launch here in NYC, we had to be there to join in the fun filled moment. 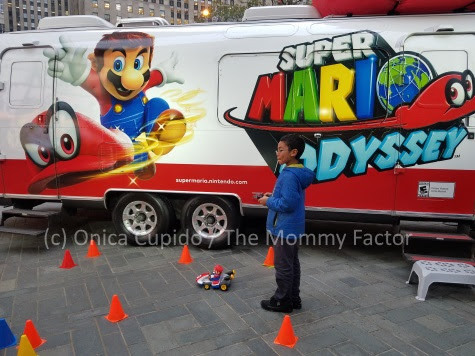 We headed to the Nintendo NY Store at Rockefeller Plaza, which had been turned into a Super Mario Odyssey fun zone. 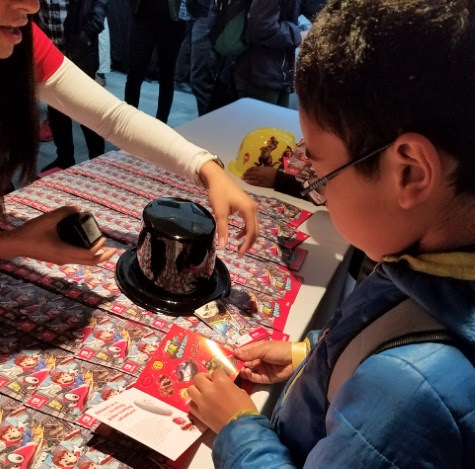 There was all sorts of carnival types of activities including hat toss and decorating. 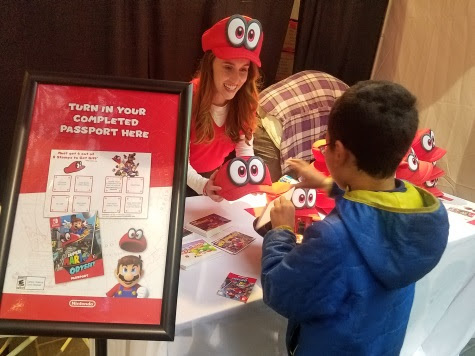 Posing for photos with Mario, his hat Cappy and characters from the game. Driving a MarioCart. A mini one anyway. And at the end we received our very own cappy! 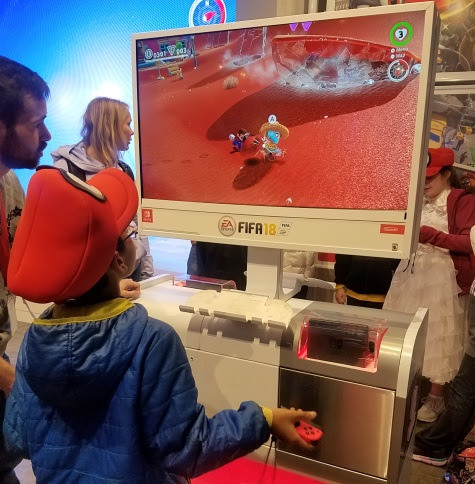 Of course we had to get a first gaming experience with the Super Mario Odyssey game. 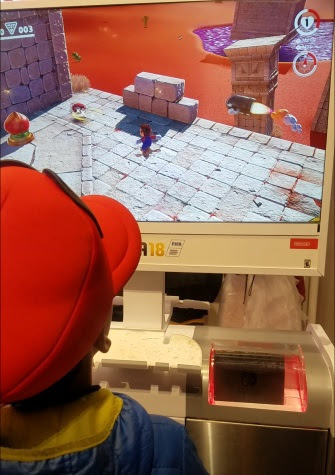 My son really enjoyed the game and I was impressed with the game feature of how Mario uses the new hat-based abilities. While that was the fun we had, there's was LOTS more going on. 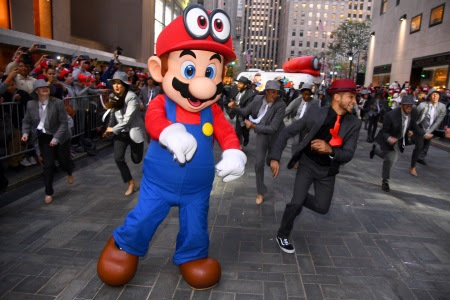 There was an elaborate dance number set to the tune of the “Jump Up, Super Star!” song from the game that included actor and singer Jordan Fisher! 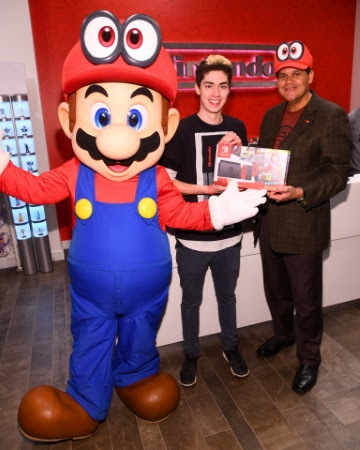 There was also an appearance from Nintendo of America President and COO, Reggie Fils-Aime. He took time to greet fan, take photos and congratulate the first person who purchased the game at midnight! 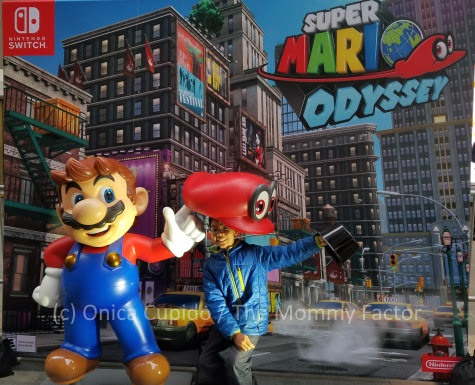 Super Mario Odyssey is now available exclusively for Nintendo Switch at a suggested retail price of $59.99. Three game-themed amiibo of Mario, Bowser and Peach in wedding-themed outfits are also available as a set at a suggested retail price of $34.99, or individually at a suggested retail price of $12.99 each. A bundle that comes with the Nintendo Switch system, a download code for the game, Mario-themed red Joy-Con controllers and a special carrying case is also available at a suggested retail price of $379.99.